I came here to keep in touch with all my friends who left GR after the censorship debacle. I read a little of every genre. I co-blog at Musings of a Bibliomaniac. There is this scene in Chapter 10 of The Bell Jar where Esther Greenwood decides to write a novel. "My heroine would be myself, only in disguise. She would be called Elaine. 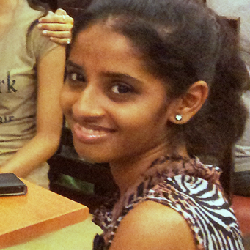 Elaine. I counted the letters on my fingers. There were six letters in Esther, too. It seemed a lucky thing." I cannot help wondering, is that what Sylvia Plath thought when she wrote The Bell Jar? Did she, like Esther, sit on a breezeway in an old nightgown waiting for something to happen? Is that why she chose the name Esther? 6 letters - just like in Sylvia. For luck? It's impossible to read The Bell Jar and not be affected, knowing what happened to Plath. I mean, it's everywhere. She is everywhere. All of Esther's musings are Plath's own. It's eerie. There's hardly any comfort even when Esther is freed from the bell jar; on the contrary, it's a brutal reminder that this book is ultimately, part fiction. "I saw myself sitting in the crotch of this fig tree, starving to death, just because I couldn’t make up my mind which of the figs I would choose. I wanted each and every one of them, but choosing one meant losing all the rest, and, as I sat there, unable to decide, the figs began to wrinkle and go black, and, one by one, they plopped to the ground at my feet"
"I saw the years of my life spaced along a road in the form of telephone poles, threaded together by wires. I counted one, two, three...nineteen telephone poles, and then the wires dangled into space, and try as I would, I couldn’t see a single pole beyond the nineteenth." The writing is remarkably unemotional and I don't mean that as a bad thing. Esther's (or Plath's?) commentary dwells entirely on thoughts and perceptions, never feelings. Depression is so often mistaken as a form of sadness. This woman, however, is not sad. She is empty. She is a shell. She contemplates killing herself with a kind of ease that's unnerving. The Bell Jar did not make me cry but I wish it did. What I'm left with now is a deep sense of unhappiness that I don't think tears can fix. 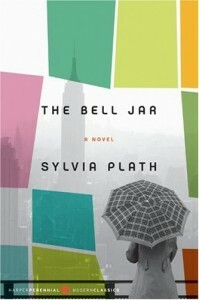 Why is it that the most talented always fall prey to the bell jar? It's such a waste.